Lessons and sessions during pregnancy and after child birth. Enjoy pregnancy massage at the comfort of your own home. Beneficial for mum-to-be who are tired, stress, experience problems such as water retention, back pain, sore legs, leg cramps etc. Recommended after first trimester for expected mums to increase blood circulation, cope stress, muscle tension relaxation etc. Post natal massage home service recommended for mothers after normal delivery, C-section delivery or premature delivery. Helps body to relax, shrink and push uterus back to its original size, improve blood circulation, improve breast feeding etc. Massage package includes bengkung wrap which provides slimming benefits for mothers. Baby massage encourages baby growth and development, allowing babies to have a deeper and longer sleep, helps with digestion etc. 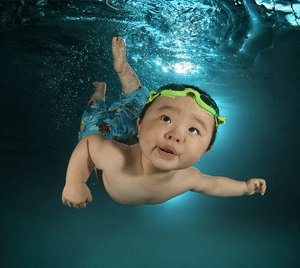 Join prenatal swimming classes in Singapore at indoor heated mineral swimming pool, where expected mothers can have the benefits of swimming in a warm and safe environment. The lessons are only suitable from second trimester onwards and helps improve problems such as water retention, swelling, overweight etc. Swimming lessons should be taken as early as possible especially at infant stage. Join our group or private baby swimming lessons at indoor heated mineral swimming pool where your baby can have great fun, confidence and most importantly gain an essential life skill. Namaste. 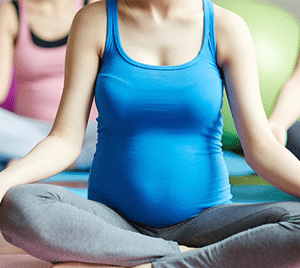 Prenatal yoga and post natal yoga helps mothers to relax, encouraging body and mind to get back in shape. Always seek clearance from doctor before any exercise especially during pregnancy.